THE well known German engineer Zaschka has invented a new “midget” automobile which is designed for speedy dismantling for storage purposes. The car can be “knocked down” within 20 minutes into three main sections which eliminates the necessity of a garage for storage. The sections can be stowed away in hallways or basements. The “come-apart” car is a three wheeler which is priced at but $300; It is capable of a speed of from 25 to 30 miles an hour. 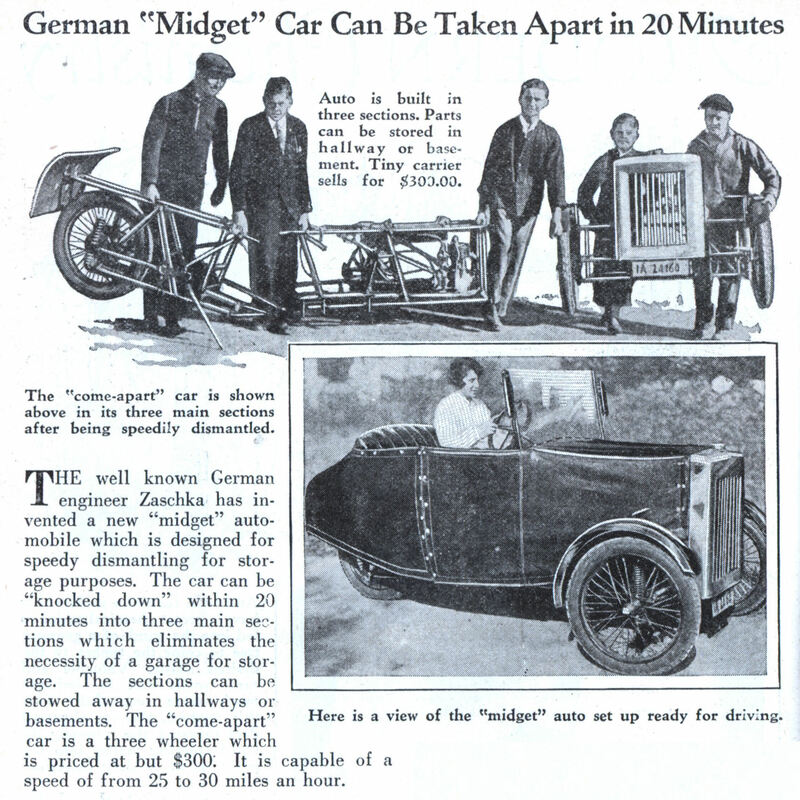 “German “Midget” Car Can Be Taken Apart in 20 Minutes” or faster, if you hit somthing! 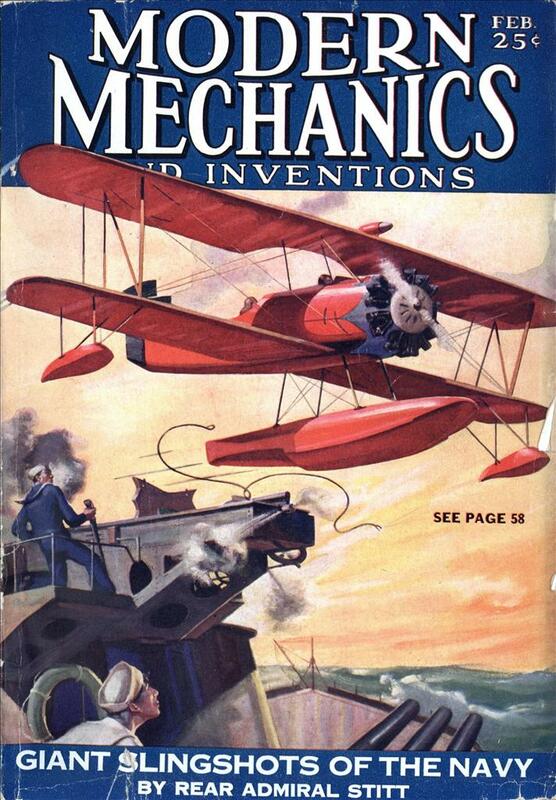 Engineer Engelbert Zaschka seems like he was ahead of his time, and only now are the ideas of an ultra-light automobile being tried out again (foldable cars). Why would any one want a car that could be dismantled?